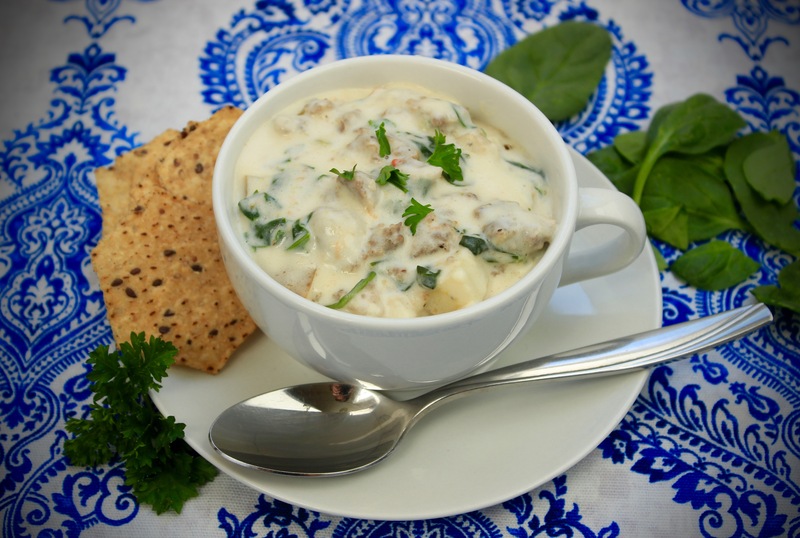 This “Creamy Sausage/Spinach Soup” was the perfect ending to a cold, windy, blustery day. I think we’ve kissed the last warm summer days goodbye. The first snow flakes made their appearance on my windshield yesterday as we drove to the hospital to see my newest niece. 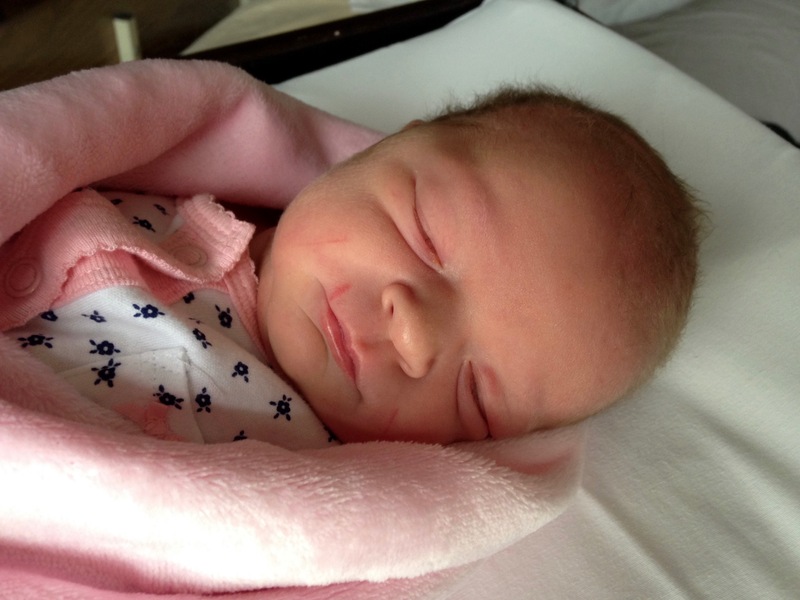 My sister Janelle gave birth to beautiful little Chloe Grace. She is one of the most darling little dolls I’ve ever seen. 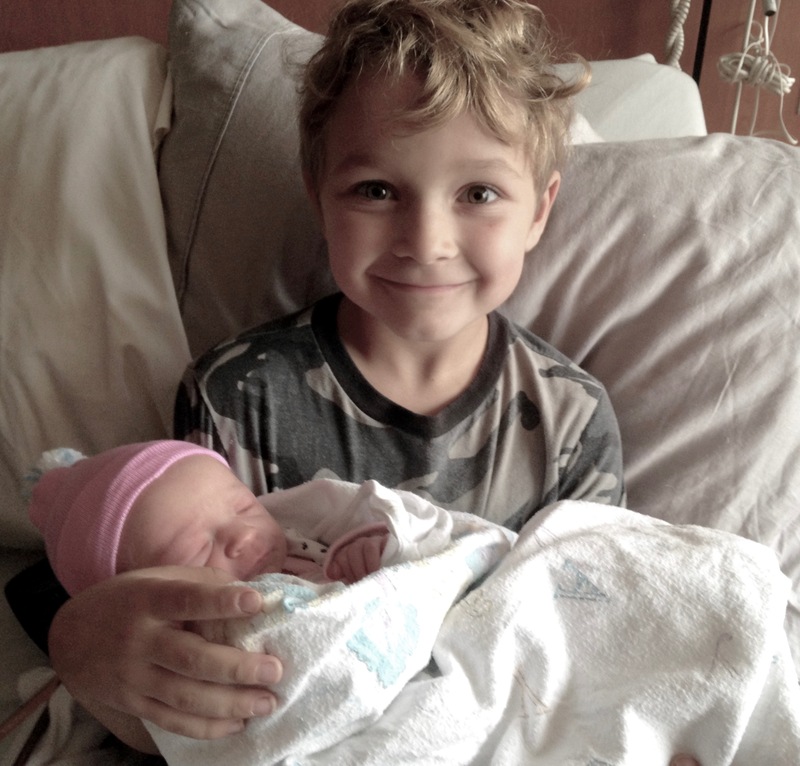 I forgot how tiny newborn babies are! Look at those soft, kissable cheeks. Isn’t she just perfect???? I just want to sit and hold her all day. This soup just kind of “happened” when I got home and it was too good not to share! The cheeses make it so good and flavorful. 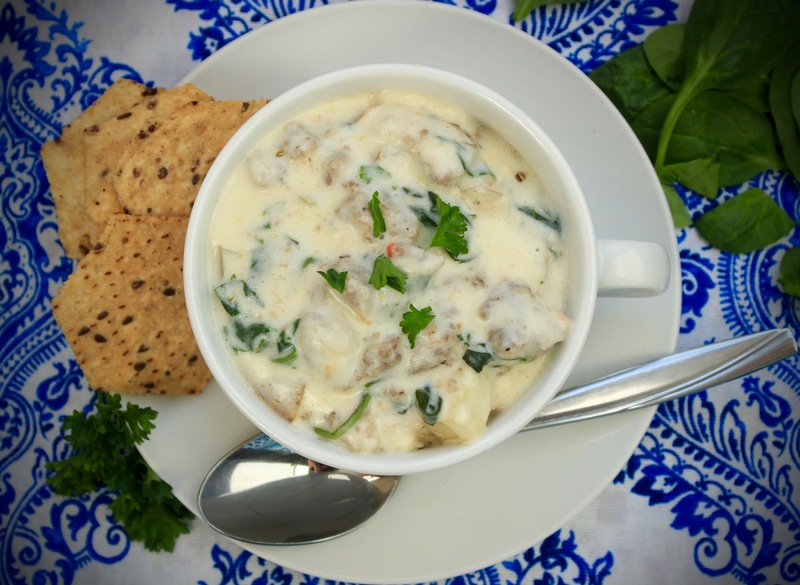 Its easy and fast to put together and perfect for a chilly night! DIRECTIONS: In frying pan, cook onion, peppers, garlic, and sausage until meat is browned. Meanwhile, dice potatoes and place in small saucepan with water just covering potatoes. Cover with lid and bring to boil. Cook 5 minutes. Add chopped spinach and steam for 1 more minute. Remove and drain almost all of the water. In medium saucepan, whisk flour and milk until lumps have dissolved. Place over medium heat and add cream cheese, whisking until smooth. Cook and stir over medium/high heat until it thickens slightly. Turn down to low and add parmesan and Mozzarella cheeses, and spices. 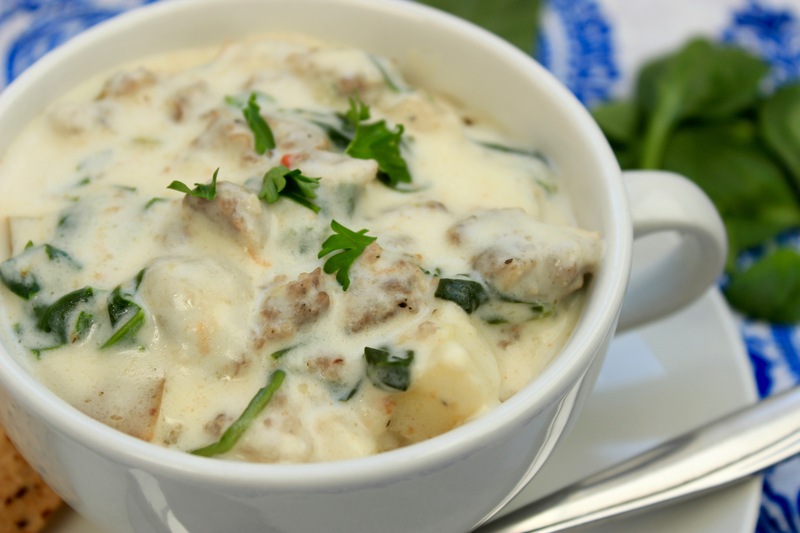 Add sausage mixture, and potatoes/spinach to the creamy/cheesy mixture. Stirring until combined. Simmer until ready to serve! I’ll have to tell Janelle 😊 I’m sure Carson will be spoiled too 😉 I hope you enjoy the soup! 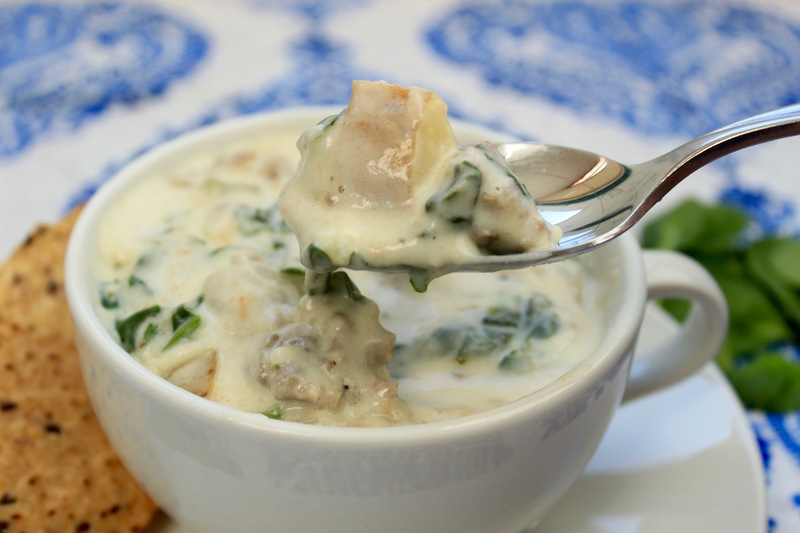 Came back to tell you, I THM-i-fied the soup, and it is officially a staple, family favorite. <3!